Welcome to February’s Colorful Gelli Print Party! There’s lots in today’s post including the winners from Stencil Week, a new home for the Colorful Gelli Print link up, and of course, a tutorial video! New to the Party? You can find links to all the previous Colorful Gelli Print Parties here. 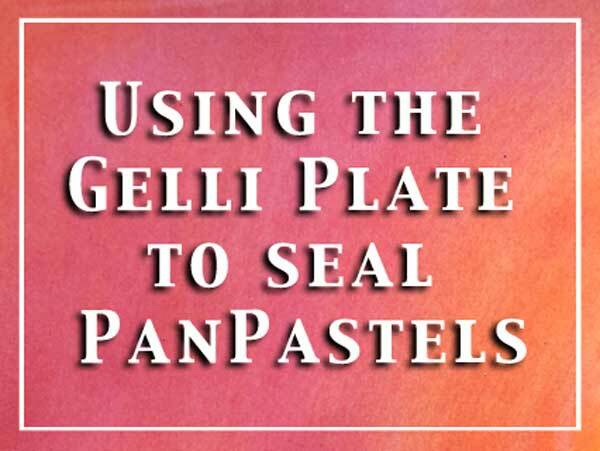 This month’s tutorial shows how to seal PanPastels with the Gelli Plate. This wasn’t my idea, it was Mary Anne’s from over at scrappystickyinkymess. You probably recognize her as regular Gelli Partier! She was kind enough to grant me permission to share her idea with you in a video. Thanks Mary Anne! Click here to watch February’s Colorful Gellli Print Party on YouTube. Where’s the link party? 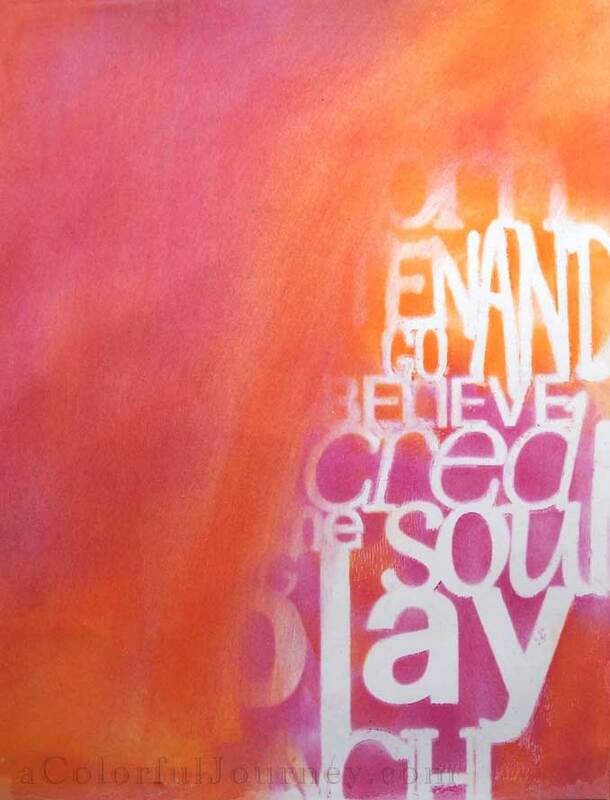 Where are we sharing our Gelli prints this month? 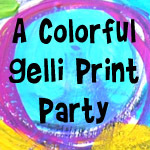 I am moving the Colorful Gelli Print Party to Google+ so that it is easier for everyone to share. You can upload a photo to Google+, share a link to your blog, share a video, or any combination. Everyone is welcome to come and play! Click here to join A Colorful Playground or to just take a peek around. If you are new to Google+, then this is the place to come and play because I am new to it too! I am learning and am sharing how to get around as I learn it. Below is a short video if you’d like to learn more about how to get around the Google+ community. Click here to watch a new art community for sharing creativity on Google+ on YouTube. Want help setting up a Google+ account? Click here for nice tutorial I found to help you. A huge thank you to everyone who made Stencil Week such fun as I introduced my latest stencils from StencilGirl! I had a blast sharing videos with you all week! If you see your name on the winners list just send me an email with you address (acolorfuljourney at gmail dot com) and I’ll get your prize out to you pronto! Thursday: Union Small: Caroline D.
It was a fabulous week, Carolyn !!! Enjoyed everyday. Congrats to all the winners, enjoy those stencils and JHooks!!! this is so useful as i have used pan pastels and i spray a cheap hair spray over to fix them but i dont like the smell and the nuisance of it so this is perfect for me. Congrats to you lucky winners. Enjoy. Thanks Mary Anne! Feel free to add any other advice too! Carolyn, it was a great stencil week, very inspirational to see your works, and congrats to all the winners. And thanks for taking care of that beautiful community on Google+. Great idea & congrats to the winners. I won! I won! I won! Hehehe….Thank you soooo much! I love this Blog!!! Great video! I like the stenciling with Pan Pastels. I need to buy some large makeup sponges now. The gel medium trick was helpful too. thanks! Sorry to hear you’re moving to Google+! I have many privacy concerns with how they handle their accounts, so I won’t be participating in the Gelli Print Party anymore. I’ll still be Gelli printing though! Good information! Who knew the gelli plate and pastels could work together?? 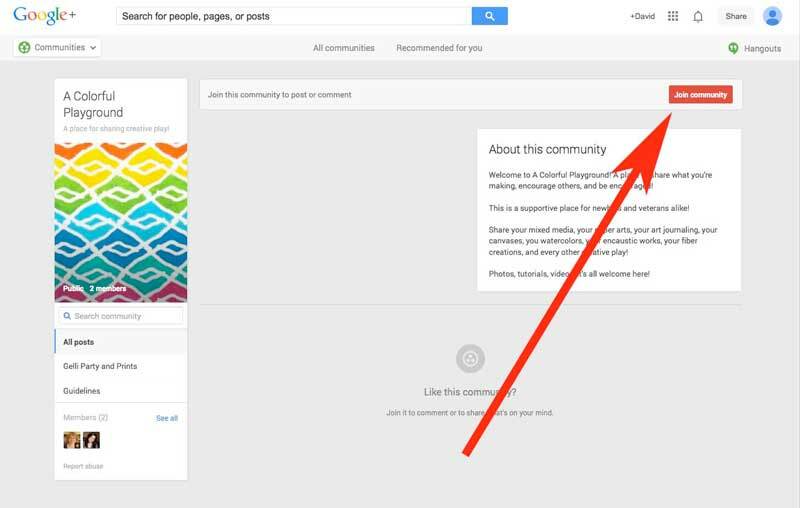 Thanks for the great information and info on the Google + community too! This is so much better for fixing pan pastels. The sprays are noxious and have to be used “in a well ventilated area” i.e. outside. Outside sometimes is just not an option. Thanks to Mary Anne for letting you share. Thanks for showing us how to put this great technique into action. Those who use an inkjet printer (like me) will also like the other tip Mary Ann shares on her blog (clue: highly related to what Carolyn has shown us here). Follow the link Carolyn shared up at the beginning–I was really glad I did. And now I’m going to check out the Colorful Playground. Thank you so much Carolyn! I had to put my gelli play off for some time as other projects called. I finally got to play this weekend and came to join the party, so I too am sorry to see the Gelli party move to Google, simply because I already have enough on my social network plate so no plans to join Google. I know you guys will have fun!